It seems that just about every food has a national day associated with it. Did you know that February 24 is considered National Tortilla Chip Day? These chips were first used as a way to turn misshapen tortillas into something usable instead of throwing them away. Let’s celebrate the day with some great recipes. Tortilla chips are those crunchy and salty snacks that we use in all sorts of dips, salsas and, of course, guacamole. They are made from corn or flour tortillas, which have been cut into wedges and then fried or baked. The most common type is a yellow corn tortilla chip, but they can also be white, red or even blue. For another tasty February National Day, be sure to check out National Chili Day on the fourth Thursday in February. Get the scoop about tortilla chips with these fun facts. We associate these crunchy chips with Mexico but they were first made here in the USA around the middle of the last century. The US is the main producer and consumer of tortilla chips. Rebecca Webb Carranza and her husband are credited with the beginning of this snack chip. Rebecca came up with the idea for tortilla chips to use up misshaped tortillas instead of discarding them. The first bag of tortilla chips sold for 10 cents! Texas made the tortilla chip the official state snack in 2003. Corn tortilla chips are naturally gluten free. Blue corn tortilla chips have less starch and more protein that white corn tortillas. Tortilla chips are reported to be Jennifer Aniston’s favorite snack. Tortilla chips are one of the most common snack items in Tex-Mex and Mexican cuisines. 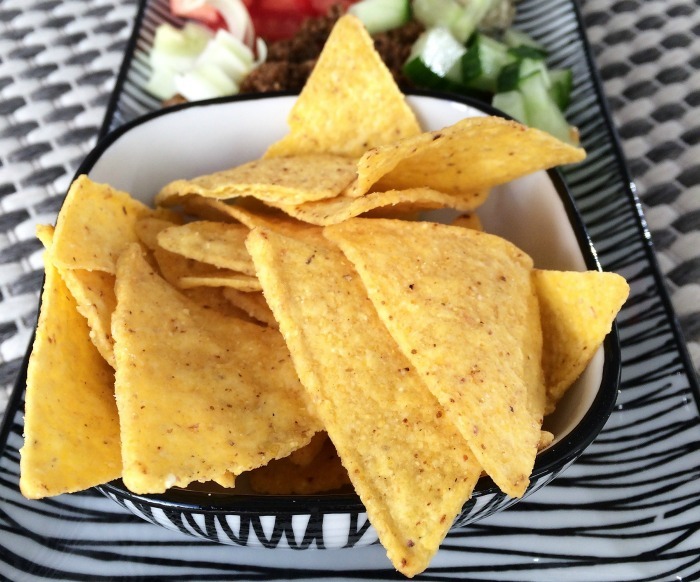 It is traditional to use tortilla chips for many fun party snacks. Nachos, and chips and dip are commonly seen, and what would salsa or guacamole be without this crunchy snack? There are literally dozens of tasty ways to celebrate national tortilla chip day. Have a salsa party with your friends. 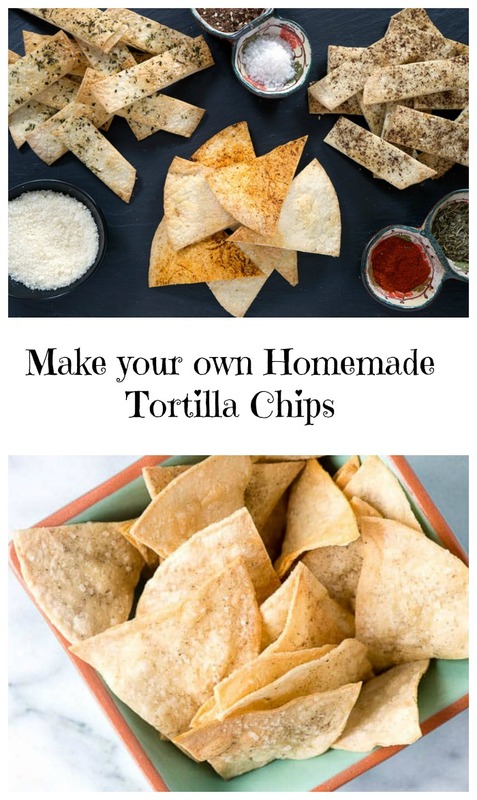 Have a “Make your own” Tortilla chip party. Provide the tortillas and some spices and let guests go wild. Have a tortilla chip party. You provide the chips and guests bring the dips. Use tortilla chips as a coating for your favorite fried chicken recipe. These recipes start with the tortilla chips. There are all types – fried, baked, low carb, gluten free and more! These Fried Tortilla Chips with mango salsa taste amazing! These Baked Flour Tortilla Chips are super easy to make. Baked Semi-Homemade Seasoned Tortilla Chips go great with lots of dips. These Cinnamon Sugar Tortilla Chips are a sweeter option for you to try. For a Middle Eastern Flair, try these cumin dusted tortilla chips. These homemade chipotle tortilla chips have a lovely spicy flavor. Looking for a sugar free sweet option? Try these sugar-free baked cinnamon tortilla chips. Can’t get enough of chips and dips? There is another national day devoted to them, as well. Thursday March 23 is celebrated as National Chip and Dip day. Be sure to check it out to see the recipes that I have in store for your next party! These dips, salsa and guacamole recipes are the perfect thing to dip those tortilla chips in. How to you like to scoop? Dip some dark tortilla chips into my best ever guacamole dip. This White Chili Queso Dip is perfect for Cinco de Mayo. Cinnamon tortilla chips are the perfect way to dip into this delicious fruit salsa. This cilantro lime dip is fresh and tart and perfect to pair with tortilla chips. Chili dusted tortilla chips are the perfect chip to try with this tequila shrimp ceviche recipe. For a great party appetizer, pair this Mexican cheese ball with spicy tortilla chips. End your party with something sweet. Try this peanut butter toffee cheesecake dip with coffee dusted tortilla chips. 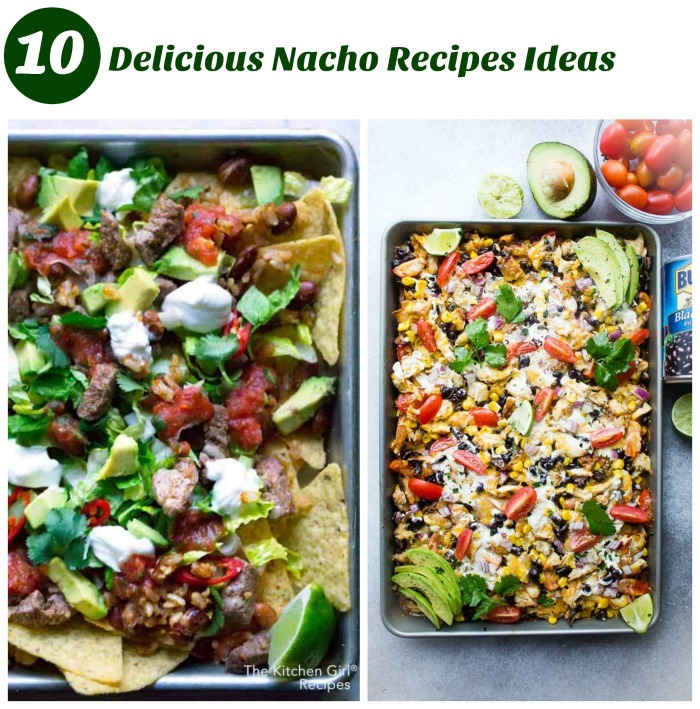 Nacho recipes with tortilla chips? National tortilla chip day is the perfect day for nachos. Combine your tortilla chips with toppings and serve them all in one pan. You guests will love these recipes! These BBQ chicken skillet nachos are easy to make and taste amazing! Quick and easy! These cheesy beef nachos are made in the instant pot. A sweet ending with these loaded funfetti dessert nachos is guaranteed. If you have an outdoor gathering planned, serve the ultimate grilled BBQ chicken nachos. These sheet pan steak salad nachos are perfect for a crowd. Use your left overs to make these spicy pot roast nachos. Your party guests will love these shredded beef nachos. Feel like you are taking a trip to the islands with these tropical chicken nachos. These oven baked spinach nachos are both sweet and spicy. 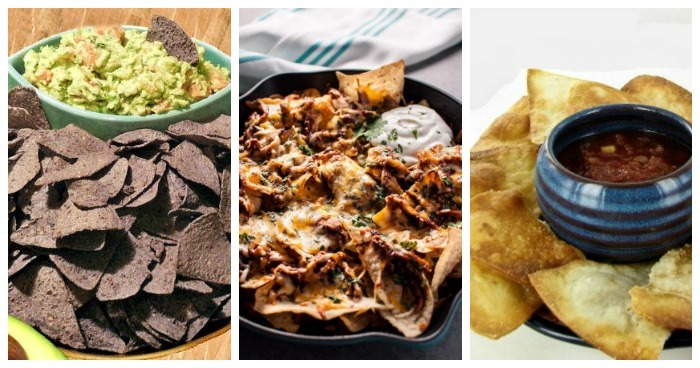 Whether you eat some of these homemade tortilla chips on their own as a movie snack, enjoying them all in one as nachos, or pairing them with something to dip, these recipes are sure to please. What is your favorite thing to dip tortilla chips into? How do you celebrate National Tortilla Chip Day?